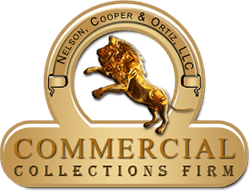 Nelson, Cooper and Ortiz can help you recover debts by sharing its experience and expertise on commercial debt collections. 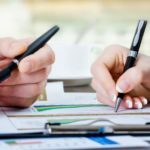 Nelson, Cooper and Ortiz is the “go-to-company” when it comes to dealing with business to business debt collections. 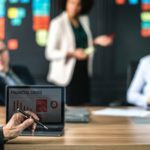 The following measures can help you maintain the financial well-being of your company in case of debt recovery issues. When a business fails to make payment on time, it would be wise to send a gentle reminder through a credit collection letter. If the letter fails to evoke a response from the company then a more demanding second letter should be sent. If no response or repayment is made despite several credit collection letters it would be a good idea to engage the services of Nelson, Cooper and Ortiz to recover the existing debt. A summary of state regulations on collection laws are available on the official website of Nelson, Cooper and Ortiz and can be of great help with your internal efforts. While dealing with businesses that do not pay their debts in a timely manner it is advisable for you not to be overaggressive, and make certain you adhere to the collection laws throughout the procedure. If a lot of time has already been spent on the past due account, it is best practice to send a final notice to the company. For your convenience we have provided our free final notice form below and it can be downloaded and sent directly to your debtor. If the company in question does not pay after the final demand notice then employing our commercial collection services for debt recovery will be your best option. See a step-by-step process for effectively using letters to collect on past-due accounts. An example letter will help you with your layout and content of debt collection letters.